New Location, New Shop, Same Great Service! Cruisers Collision & Custom is a family owned & operated shop with over 30 years of combined industry experience. Trust us with all your auto body repairing needs. We employ interprovincial journeyman staff and can do glass installation, factory match refinishing, fibreglass and plastic repair and custom fabrication. We can also perform SGI & factory accredited repairs on all makes & models with no effect to your vehicle's warranty. 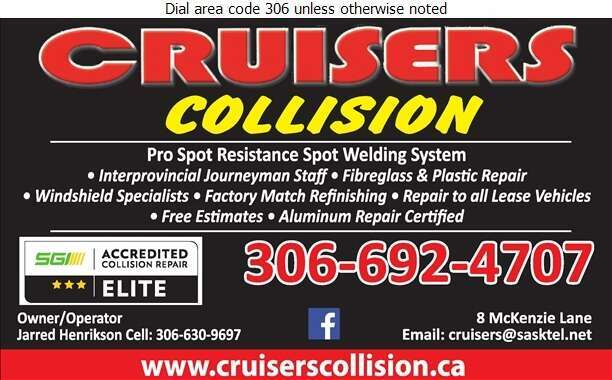 If you are in need of some auto body work, contact us today and check out our new location in Moose Jaw, Saskatchewan.